Renting in Oakland: What will $2,000 get you? We've rounded up the latest rental offerings via rental site Zumper to get a sense of what to expect when it comes to scoring an apartment in Oakland if you're on a budget of $2,000 / month. Listed at $2,000 / month, this studio apartment is located at 1733 Foothill Blvd. The apartment features tile flooring, high ceilings, a dishwasher and an electric stove. Assigned parking is offered as a building amenity. Both cats and dogs are permitted. According to Walk Score's assessment, the surrounding area is friendly for those on foot, is convenient for biking and offers many nearby public transportation options. Next, there's this one-bedroom, one-bathroom apartment located at 400 Montclair Ave. It's also listed for $2,000 / month for its 850-square-feet of space. The building features outdoor space. In the unit, there are hardwood floors, high ceilings, a walk-in closet, a decorative fireplace, French doors and ample closet space. Pets are not welcome. Here's an 800-square-foot one-bedroom, one-bathroom apartment at 2300 Fruitvale Ave. that's going for $1,995 / month. 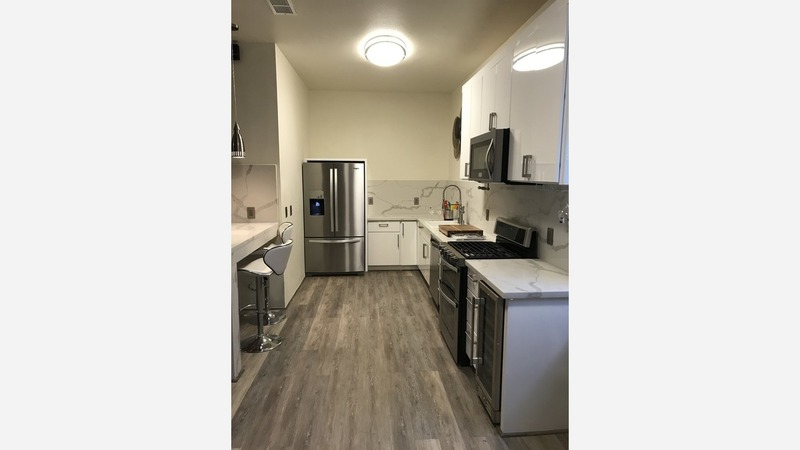 In the apartment, you'll get in-unit laundry, central heating, hardwood flooring, a dishwasher, stainless steel appliances, a walk-in closet and granite countertops. Secured entry and assigned parking are offered as building amenities. Two feline companions are permitted. Per Walk Score ratings, the surrounding area has excellent walkability, has some bike infrastructure and offers many nearby public transportation options. Next, check out this 650-square-foot one-bedroom, one-bathroom apartment that's located at 3875 Ruby St. It's listed for $1,975 / month. In the unit, you'll get hardwood floors, high ceilings, a dishwasher, a walk-in closet, garden access, a ceiling fan and granite countertops. When it comes to building amenities, anticipate on-site laundry, outdoor space, on-site management and a bike room. Feline companions are welcome. Per Walk Score ratings, the area around this address has excellent walkability, is great for biking and has excellent transit.